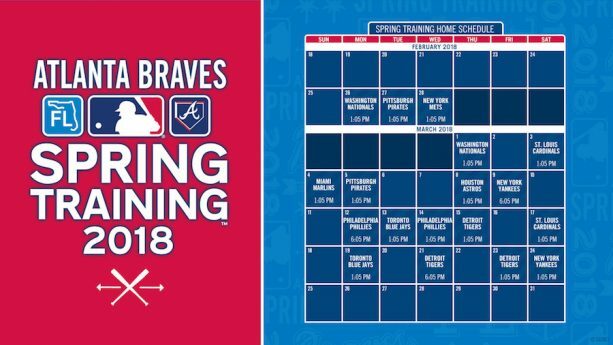 The spring training games for the Atlanta Braves kick off today at the ESPN Wide World of Sports Complex at Walt Disney World. 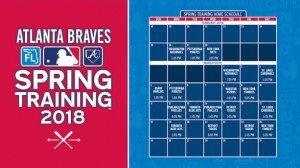 This spring’s schedule includes games against the Houston Astros, New York Yankees, St. Louis Cardinals, and more. Fans can enjoy new food and beverage offerings at the WWOS complex including Mojo Pork Rice Bowl from the Third Base Patio Grill, Beef Brisket from the Barbecue Smokehouse, and a Chicken Nugget Basket from the Homeplate Grill. Adults can enjoy new brews from small brew houses in addition to beer standards. Tickets for the games are available by calling (407) 939-GAME, visiting Ticketmaster.com or at the ESPN Wide World of Sports Complex Box Office.